Ten June: Who Likes A Little Retail Therapy? Meee! Over the weekend, I hit up a discount home goods store (Real Deals in Jefferson, Georgia) in search of a few particular home items. ﻿Like I said yesterday, David and I have decided to challenge ourselves with a no-spend October... that means we can only spend on items we've already budgeted for (like groceries, house stuff, utilities and big purchases we've saved for). We found we were spending too much on random items, so thought it would be fun to see if we could cut back. And by fun, I mean torture. Picture this: me + discount home decor store + no spending = I'm pretty sure I developed a nervous tick. But I had fun nonetheless, snapping lots of bad iPhone pics so I could share all of the goods with you! Check out the ah-maz-ing finds that wanted to come home with me. They had a great selection of rugs (but their prices were a little steep- average retail, not discount). I was madddddddly in love with these salvaged stable doors and carts, although they were a little pricey for me at $650- $750. But I think I need one anyway, yeah? The furniture selection was fabulous- if you hunted, there were some great deals! They had a ton of great mirrors at amazing prices. These almost came home with me for $18 each. Gorgeous find but a little pricey at $65. This gorgeous mirror was a STEAL at $30. It looks a lot like Cassie's! They also had a huge selection of frames and art canvases. Lots of high end pieces, like these guys. Whaaat, you don't think those are beautiful? I definitely bought the dog print. Siiiiiike. Can't beat a pooch portrait, right? Tucker and Maggie will be thrilled. Don't kill me, folks, but... I stayed true to our no-spend challenge and walked out of Real Deals empty handed. Well, kind of. The good news is that I did find a certain big ticket item we've been saving for.... more on that soon! Have you done any discount decor shopping lately? Share your finds! 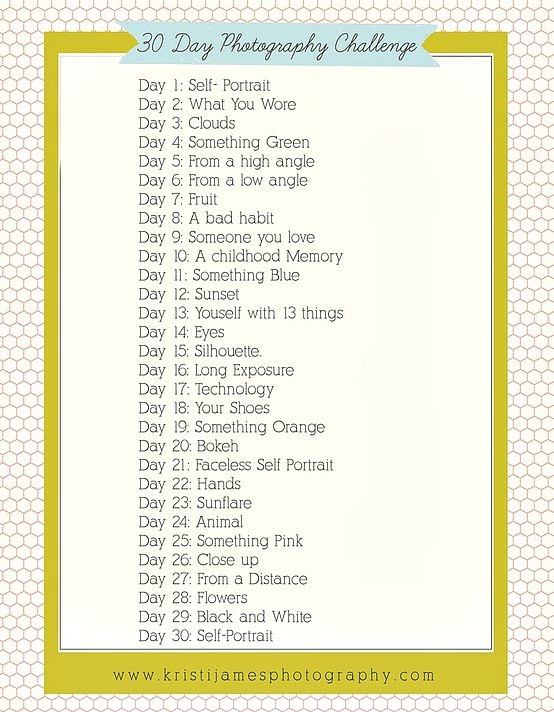 Tomorrow is the 30 Day Photo Challenge link up party! Tomorrow, we'll be sharing days 1-7 of the challenge. You don't need a fancy camera to join, I promise. And amateurs are expected, so don't be scared! Whether you take pictures on all seven days or just one, post about it on your blog and then come link up over here on Ten June. I plan to feature some of my favorite photos later this week! okay i have to admit that i sorta like the dog pic. in an overly ornate frame, it could look cool. Good job on not spending....I know it's hard! I work at a Real Deals and we don't have any of the stuff that you saw at your store. I wish we did because you found some great things! What?! Cat's playing instruments are not in style??!?! Thanks for clearing that up ;) So i have been MIA in blogland and didn't know about this cool photo challenge...is it too late to join? How long will tomorrow's link party be up? Ohh I love that mirror...I would have bought for that price. It would definitely be deemed "essential" even with a budget lock down! My post today is also about shopping! Ha. I think I'm going to to try to have a no spend November. Love Real Deals!! Haven't been in forever. Good for you for sticking to your guns. Okay...so trying to get my photos taken...our weather is NOT cooperating Michelle! I am in serious lust for that tufted leather tulip chair. Please, please, PLEASE tell me that was the big item you were able to bring home! Gah, that thing is beautiful! oh my gosh michele i want to live near this store serously everything in it is so gorgeous. i would love to decorate my place from this tore! ooooh I like that leather chair! Since you're in non-spending mode I recommend only visiting super high end stores...things will be too expensive to even consider (that's the beauty) but you'll get loads of inspiration! This place definitely looks like somewhere you should go back to in November, especially for some of those mirror / frame deals.